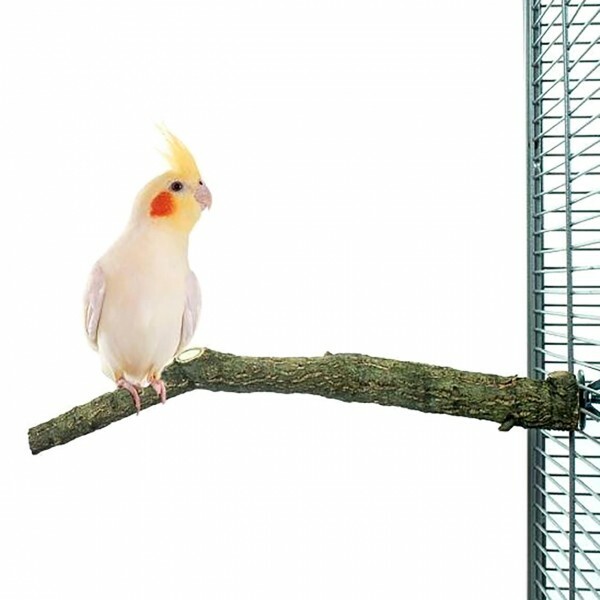 The Corky Perch Small is a natural resting place (100% natural product).The Corky Perch can be easily attached to the bars. Ideal for birds that love to chew and a perfect resting place. Cork is a quite firm and a little elastic material. It lasts much longer than normal bark. The Corcky Perch feels nice and soft, due to its natural shape.It provides a very good grip for the claws of your bird. (ATTENTION ! : Since cork is a natural product, each item is a unique piece, there may be slight variations in size, shape and color compared to the picture. customer reviews on "Corky Perch Small"